...for those who love good music! Our story is about inspiration and encouragement given by lovers of good music and finding out what entertains and makes them happy. 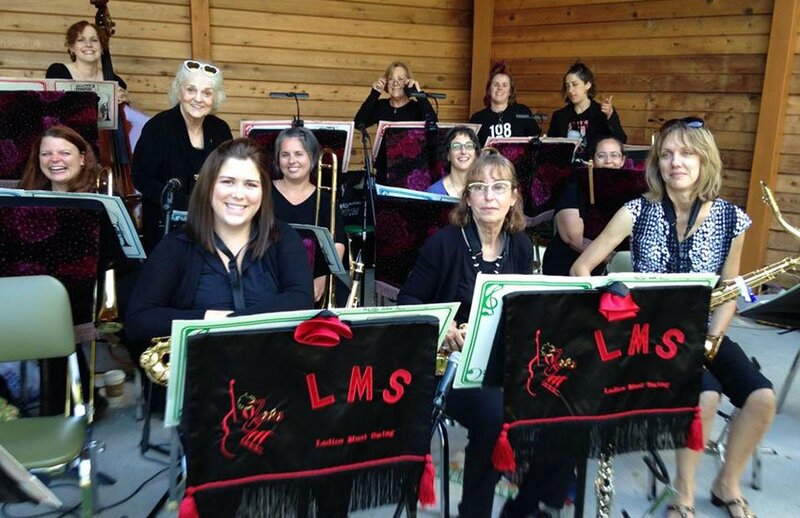 Over 19 years ago, LMS became Ladies Must Swing which came from Linda Marty Schmitz, President of the Madison Jazz Society, which also gave us our very first performance opportunity! 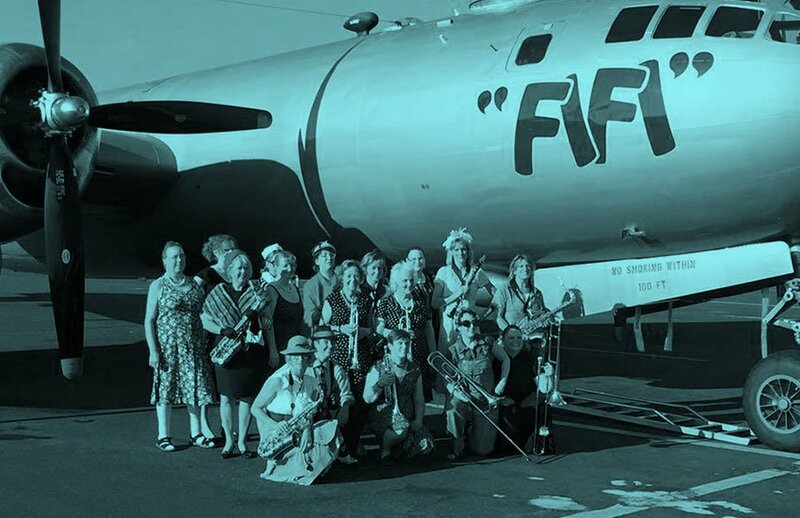 The presence of women playing jazz has gotten a lot of attention over the last decade and we are grateful for that. We intend to keep the musical momentum going and invite you to come see us, hear us, dance to us, celebrate with us, and re-live history! Hello all from June Dalton, musician and organizer of Ladies Must Swing. I love playing jazz music of all styles. I've been playing clarinet since grade school and took up saxophone at a much later time. Currently playing clarinet, soprano sax, alto sax, and tenor sax. 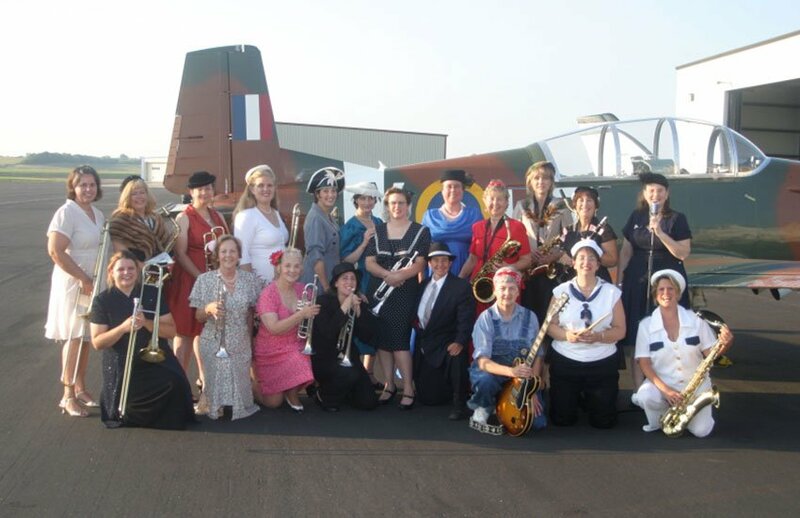 Wherever anyone will hire Ladies Must Swing to play; theaters, rooftops, airplane hangars, parks, pavilions, etc. I'm on a quest for longevity and it's well known that laughter, joyful noise, and appreciation all contribute to a long, healthy life - so the girls in the band make me laugh (you should have seen us at Halloween!) The great big band music we play brings me joy, and the audience appreciation makes me glow! 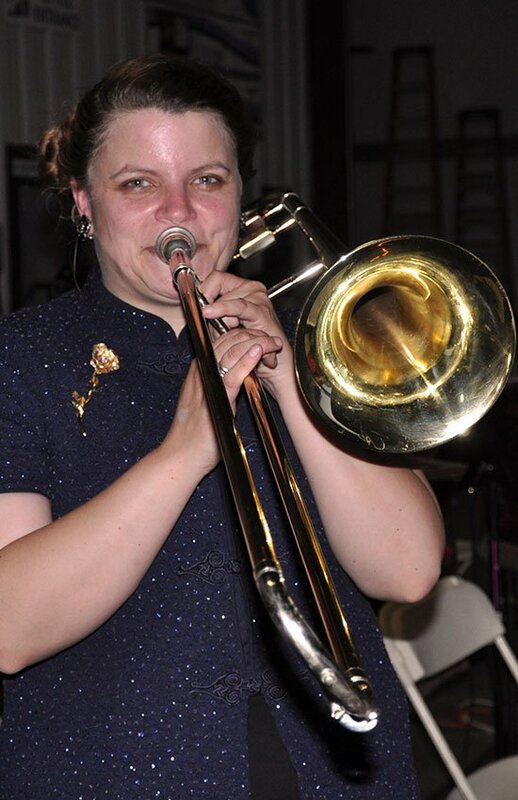 Amy has played trombone and euphonium in a variety bands for the past twenty years. 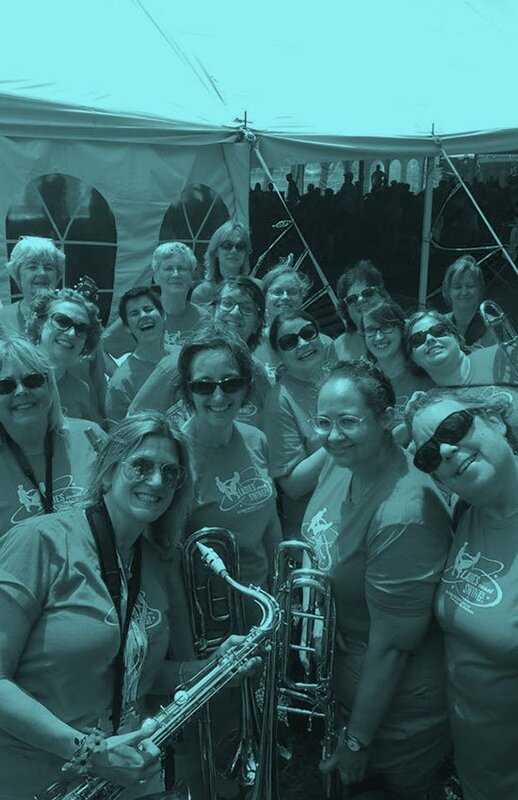 She also enjoys combining local music with local causes and assists in planning a variety of annual local benefits. Her number one passion of helping monkeys retire from research facilities, led to the founding of the nonprofit organization, Primates Incorporated, in 2004. This work was driven by her experience of working with 97 rhesus monkeys in a primate lab for five years. Amy believes that the least society can do is retire monkeys into sanctuaries, whenever possible, after research has been completed. Angela started playing saxophone at age 9; she wanted to play flute, but band director and Dad were good friends. She was talked into saxophone and was very happy about it. She has a B.A. in Music from St Teresa in Winona MN, and traveled after college and landed back in WI. She is the owner of a private music studio where she teaches 25-30 private music lessons each week. 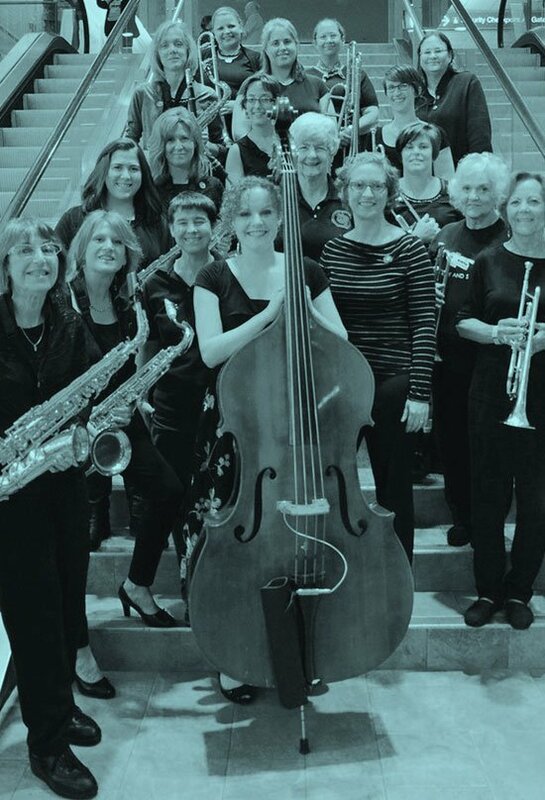 Angela has enjoyed performing with with Brian Whitty Musical Services, Madison Jazz Orchestra, Neophonic Jazz Orhcestra, Michael Hanson Jazz group, Jim Erickson Trio, Bill Seargent Big Band, and the FUMC Chamber Choir. She is also a mother of 2 talented children following in her footsteps in acting, dancing, and musicals. 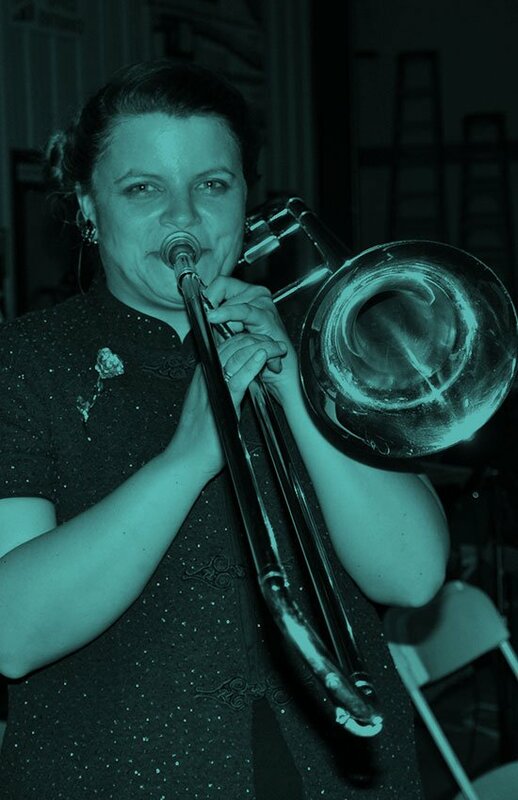 Jen took up the Trombone at age 11 because the flute was "too girly." 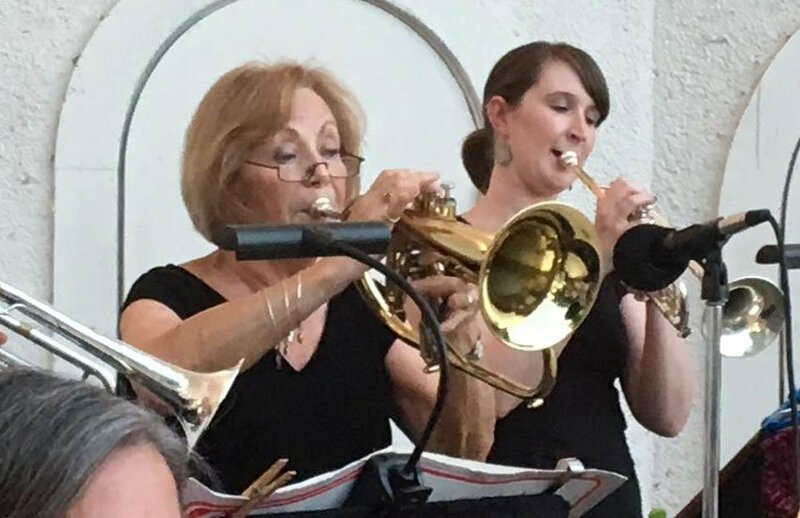 While she loves the trombone (and really wouldn't trade it for anything) she occasionlly regrets rejecting an instrument carryable in a purse. 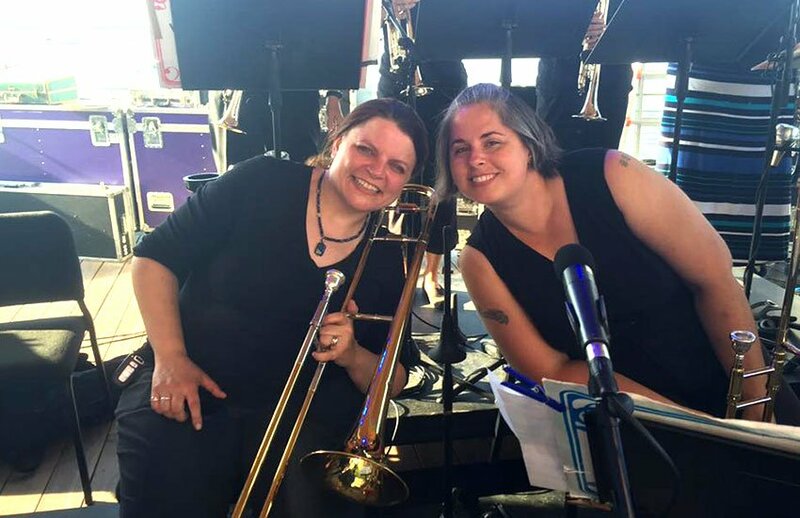 She was an avid band-kid in high school, played with the raucous Northwestern University Marching Band, DC's Drummers concert and marching bands, and DC Swing! 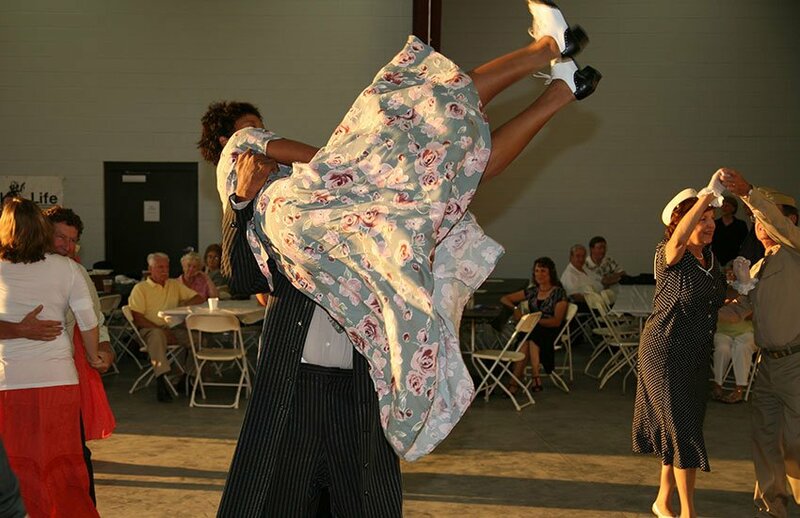 before joining Ladies Must Swing in 2005. 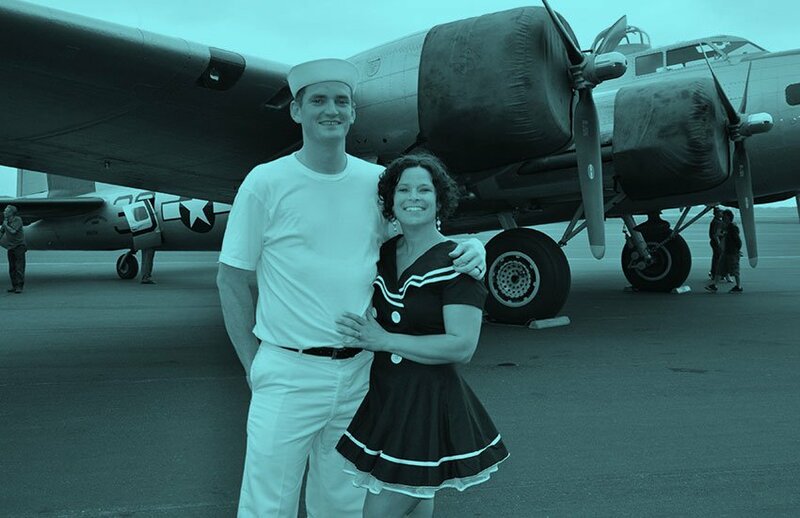 She makes her living as a Veterinary Pathologist and shares life and a home with her husband Travis and their new dog Spike. I started out life wanting to be a concert pianist, but got derailed at 14 when I broke my wrist. Took up guitar since Dad played guitar and there was an extra one in the house - I still play that same guitar today. I was a musician in the Army with the Women's Army Corps Band, touring the country twice a year for a month at a time and playing everywhere from high school gymnasiums to every major car race in the country, playing the National Anthem and My Old Kentucky Home for the Kentucky Derby, performing for the assembled governors of all fifty states, and a playing at a dinner for the surviving Medal of Honor winners. Originally from North Kingstown, Rhode Island, Rebekah has studied classical and jazz piano since grade school. At the University of New Hampshire, she majored in piano performance and German, and was fortunate to spend two years studying and performing in Heidelberg, Germany. Rebekah came to Madison in 1998 to study musicology and German literature at UW-Madison, where she is now working toward her PhD. She works at the UW-Madison as an assistant dean and director of Academic Progress Services and teaches Suzuki piano at home. Rebekah married a Madisonian musician and together they have a beautiful daughter. I grew up in South Portland, ME, and received a scholarshship to study music education at the University of New Hampshire. I did my student teaching here in WI and loved it so much I have been here ever since! 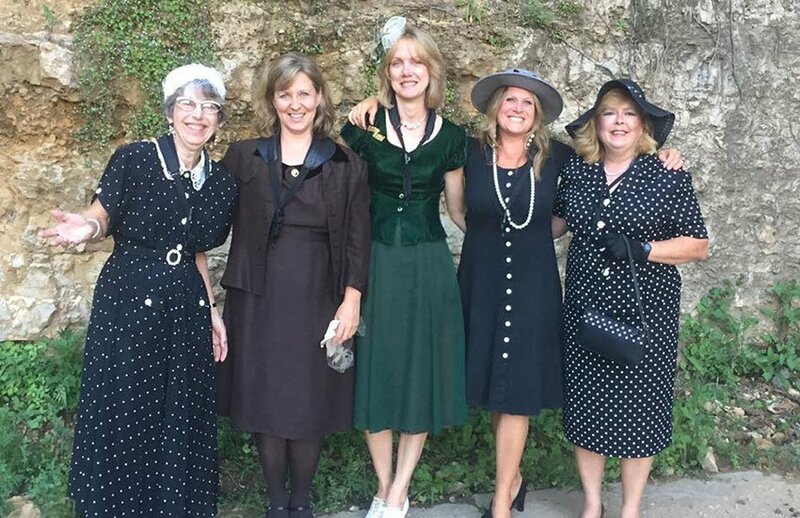 I joined Ladies Must Swing in 2002. 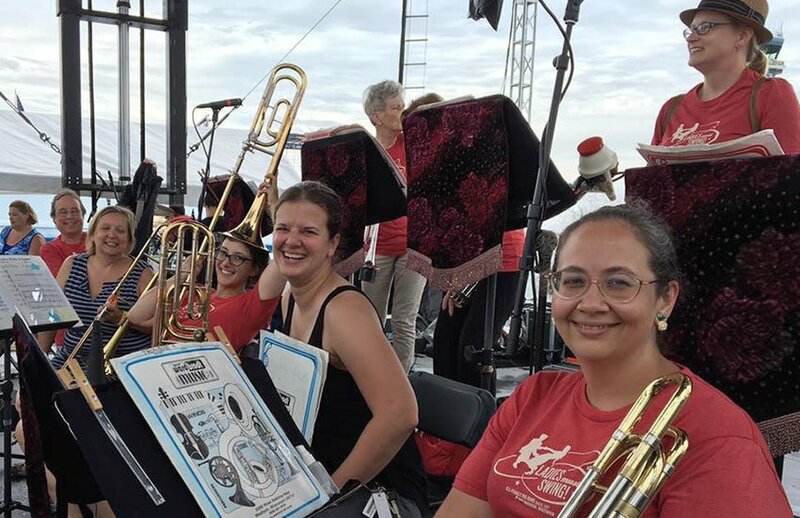 After living in Madison for a few years I moved to Milwaukee to get my masters in music education. 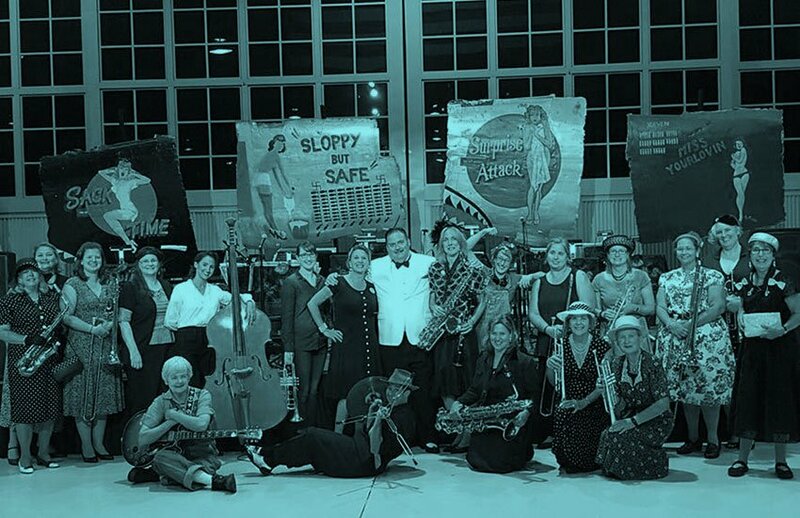 In 2008 I began teaching music in the Madison schools. Currently I am teaching band, orchestra, choir, and general music at Wright Middle School. 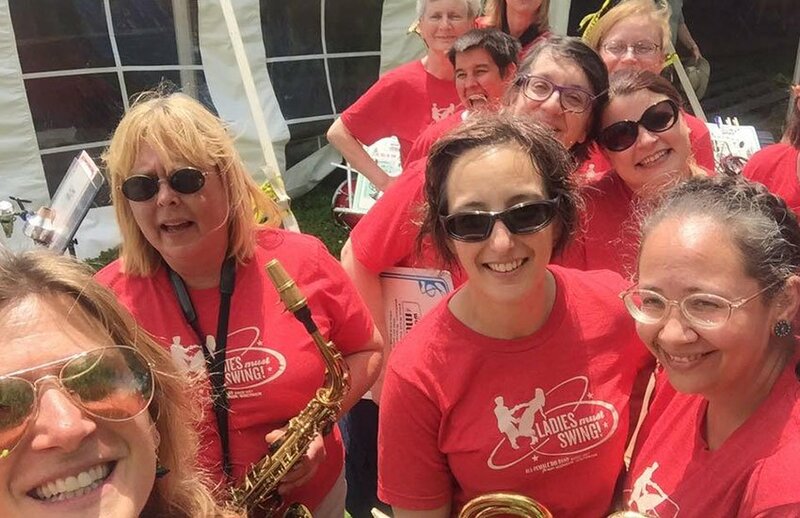 I love playing trombone with Ladies Must Swing, it's really rewarding to be able to make music with such amazing women! Laurie has cello performance degrees from U of I-Urbana and Rice U. and teaching certification from UW-Madison. Currently, she teaches privately, with the WYSO chamber program, and substitutes in the public schools. 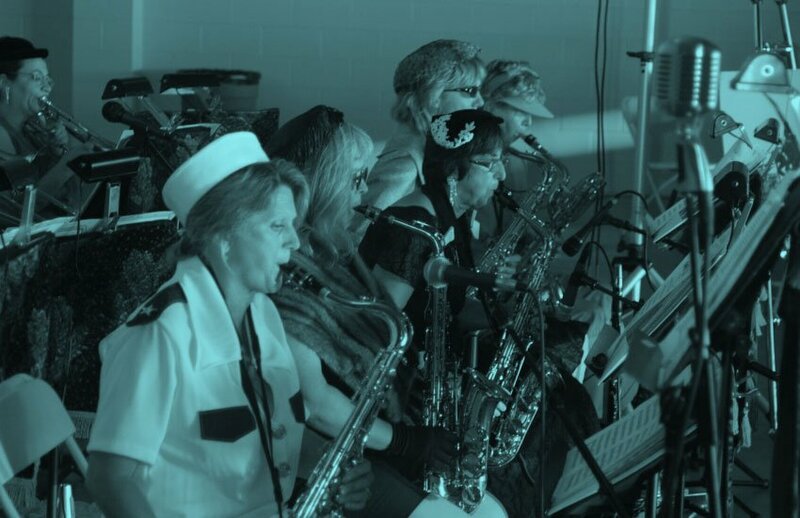 Besides performing with the Ladies Must Swing band, she has been a member of the Madison Symphony for 22 years and plays with various small ensembles at weddings and other private functions, retirement/senior centers, etc. 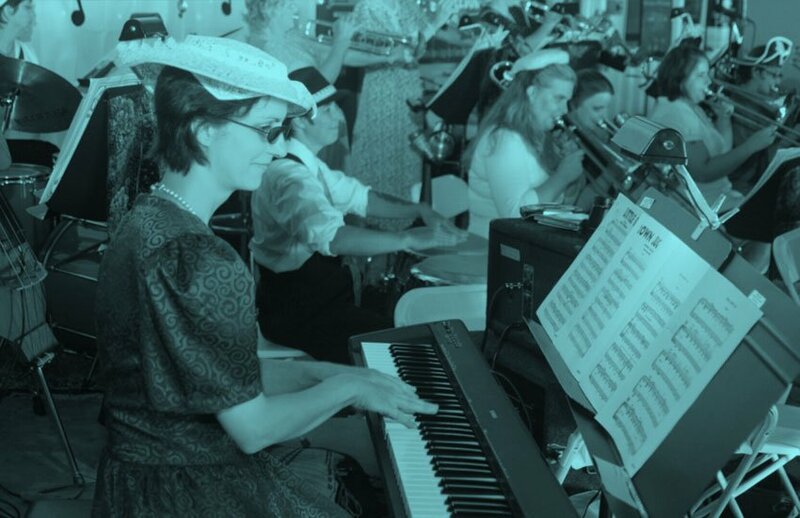 A life-long resident of Wisconsin, Marilyn grew up in historic and artistic Mineral Point, WI, studying voice and piano. She graduated from Lawrence University in Appleton, WI with a Bachelor of Music degree in Choral Education. 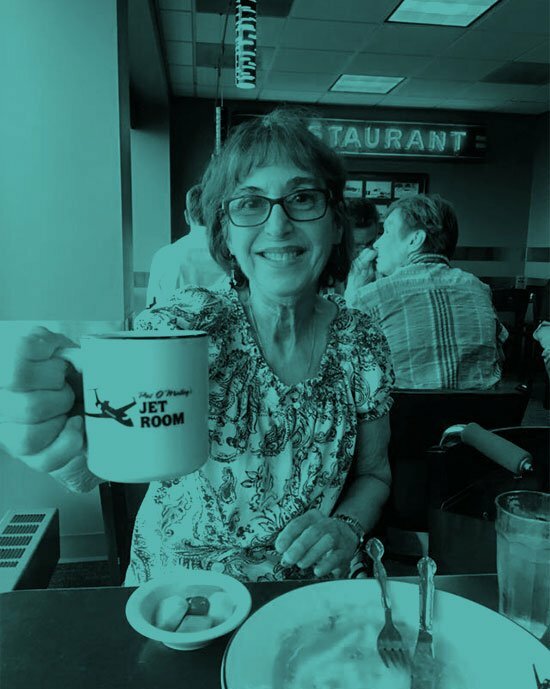 Marilyn began teaching privately full-time in 1996, and continues teaching, performing, coaching and studio coaching today. She is also a Master Adjudicator for Wisconsin School Music Association’s (WSMA) Solo & Ensemble contests, in primary and secondary schools throughout WI. 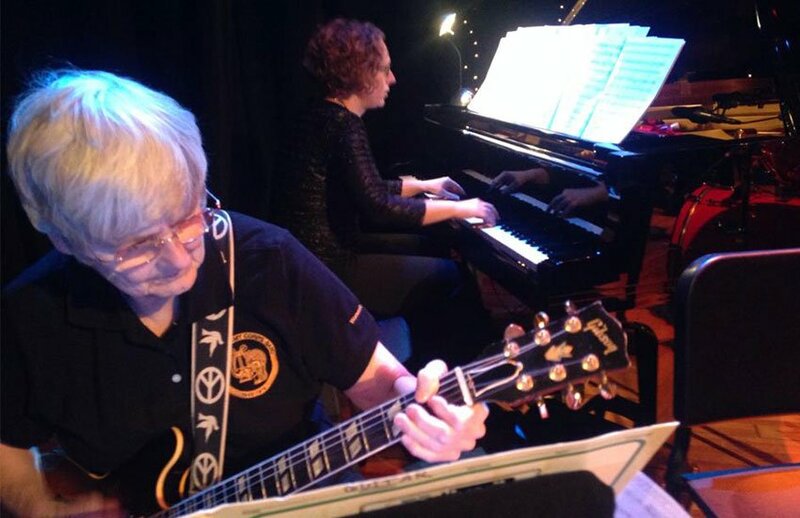 Outside of performing and teaching, Marilyn has long been a part of the Madison music scene, with her primary focus on jazz and improvization. Nicky Sund banged on pots and pans until her parents bought her a tiny drum set. She studied percussion through high school and then attended UW-Madison to complete a BA in creative writing. After college she studied latin and west african hand drumming with a variety of teachers around the US and in Guinea, West Africa. Nicky worked for the UW-Madison Dance dept, for ten years as an accompanist. 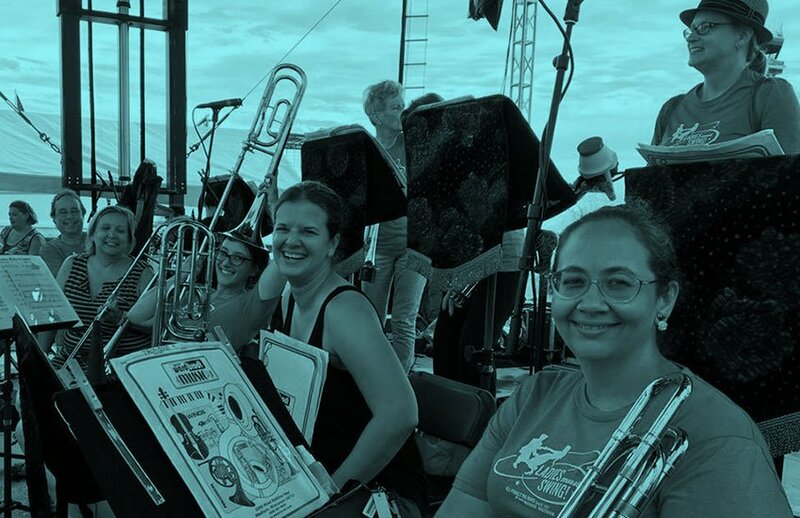 She has performed with a wide variety of local bands and currently performs with Ladies Must Swing, Atimevu Drum and Dance group, Mami Wata, Swingin' Not Stirred, and the new ska band Supervillain Fire Drill. She teaches for Girl's and Ladies' Rock Camps and drives a taxi for Union Cab. 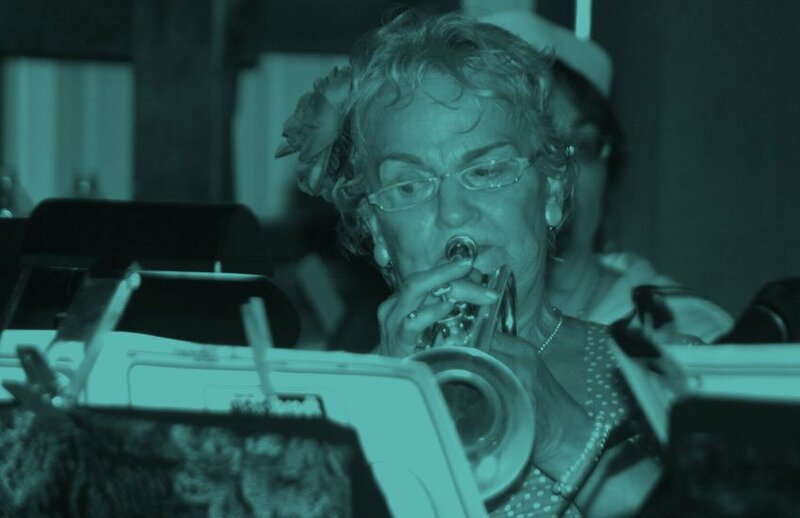 Nancy was 8 years old when she began playing the trumpet and it has been a part of her life ever since. She attended the Cincinnati College-Conservatory of Music and received a B,S, in Ed. from the University of Cincinnati. 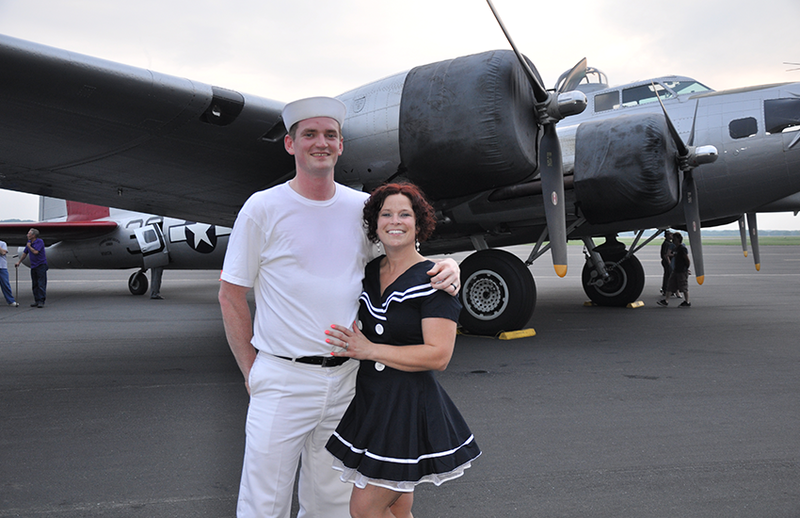 She was a Band Director and also taught 5th and 2nd grades before retiring to raise a family. 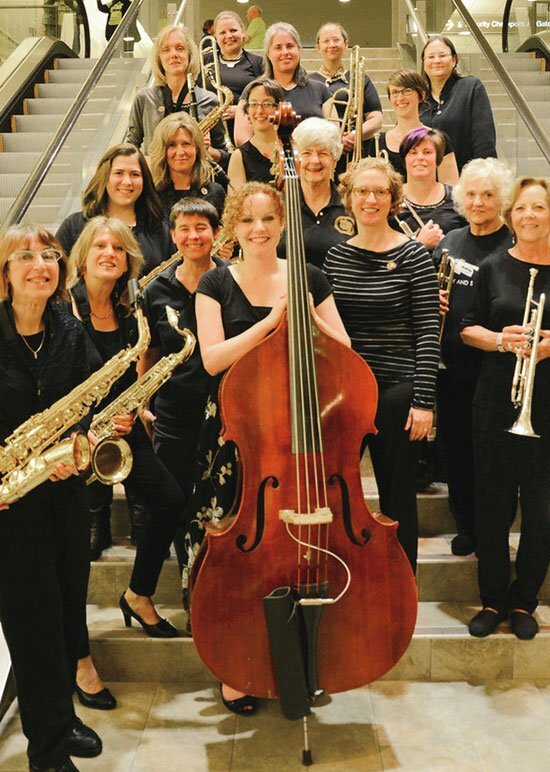 In addition to playing in Ladies Must Swing, she plays in Madison Municipal Concert Band, Middleton Community Orchestra, Blessed Brass, Middleton Jazz Orchestra, Retro Swing Band and with the Attic Angel Choir. Sorry, we have no current info available for Margie. But we know she's an excellent musician, so you'll just have to take our word for it. Sorry, we have no current info available for Kristin. But we know she's an excellent musician, so you'll just have to take our word for it. Sorry, we have no current info available for Marianne. But we know she's an excellent musician, so you'll just have to take our word for it. Sorry, we have no current info available for Deb. But we know she's an excellent musician, so you'll just have to take our word for it. Sorry, we have no current info available for Dawn. But we know she's an excellent musician, so you'll just have to take our word for it. 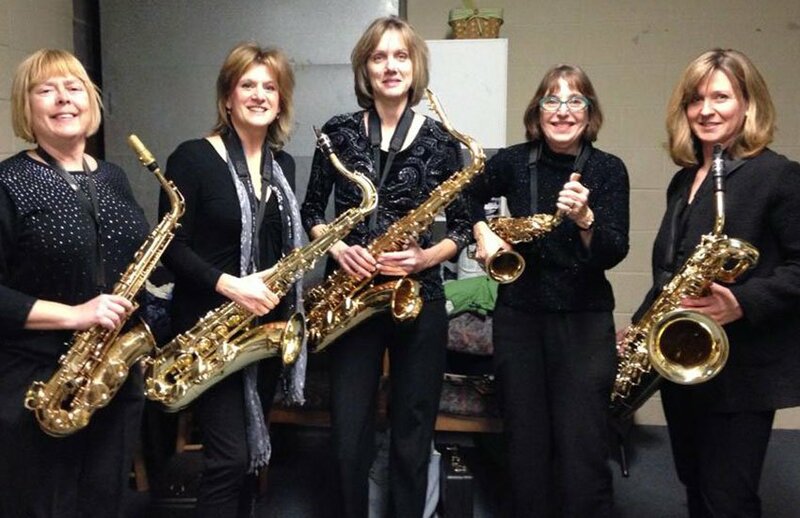 Renee' Reindl has been playing the clarinet and tenor saxophone since the fifth grade. She was introduced to the 'Big Band' sound in jazz band, and it has been her favorite music to listen to ever since! 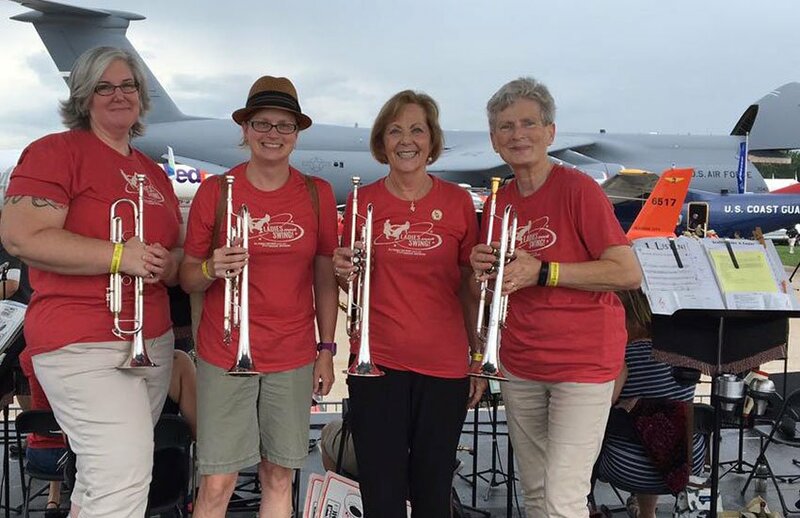 She has fond memories of touring Europe with the United States Collegiate Wind Band in the summer of 1981. She has been with 'Ladies Must Swing' since 2003, playing her favorites of Benny Goodman and Louis Jordan. Sorry, we have no current info available for Lyndsay. But we know she's an excellent musician, so you'll just have to take our word for it. Kay started playing the trumpet in grade 5. She is a graduate of Milton College (BME) and Vander Cook College of Music (MME). She is retired from Clinton Community School District after teaching instrumental music for 41 years. Kay’s current activities include playing trumpet with the Beloit/Janesville Symphony (since 1968) and LMS. 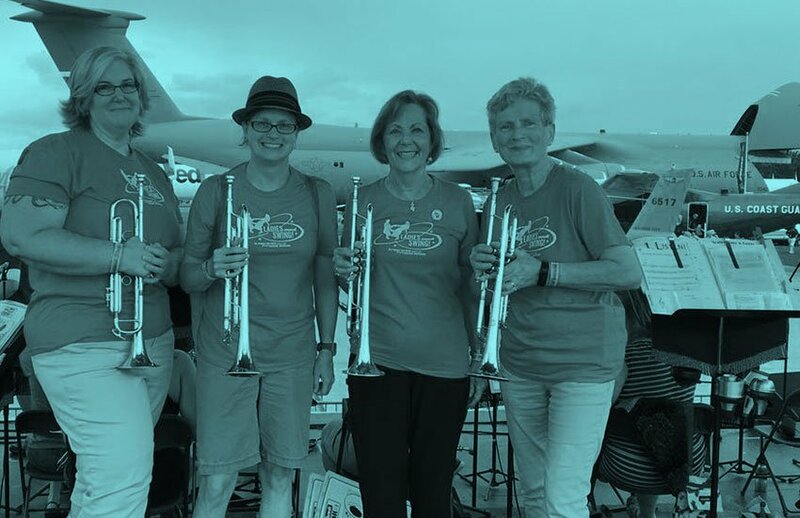 She is also teaching private instrumental music lessons at Voigt Music and is instructor of trumpet at Beloit College and University of Wisconsin-Rock County. 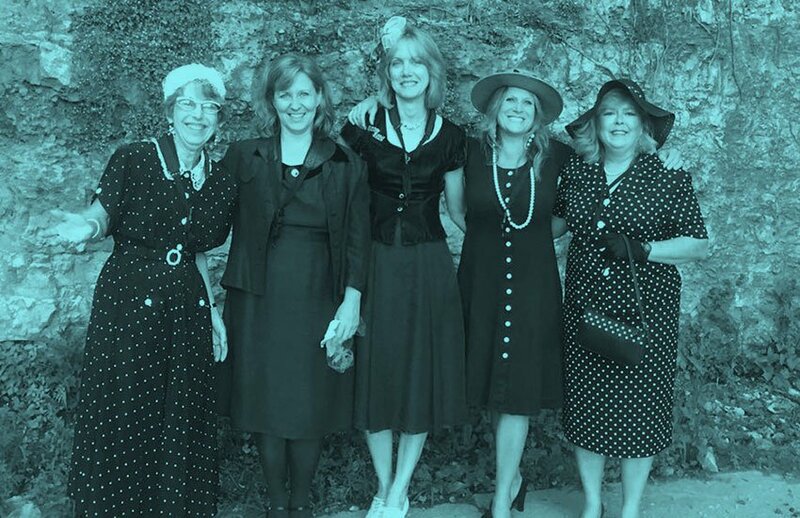 Kay has lived in Avalon all of her life and loves the atmosphere of a “small town”. She enjoys traveling and long walks with her Doberman pinscher (Hilda). 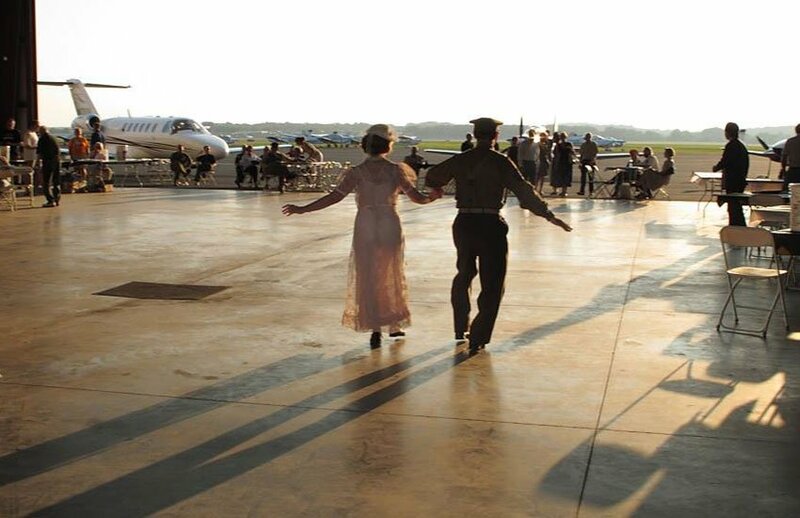 "This group of wonderful musicians will renew your spirit and soul with their energy and tributes to our veteran's, who deserve our thanks and gratitude." I love your new website! 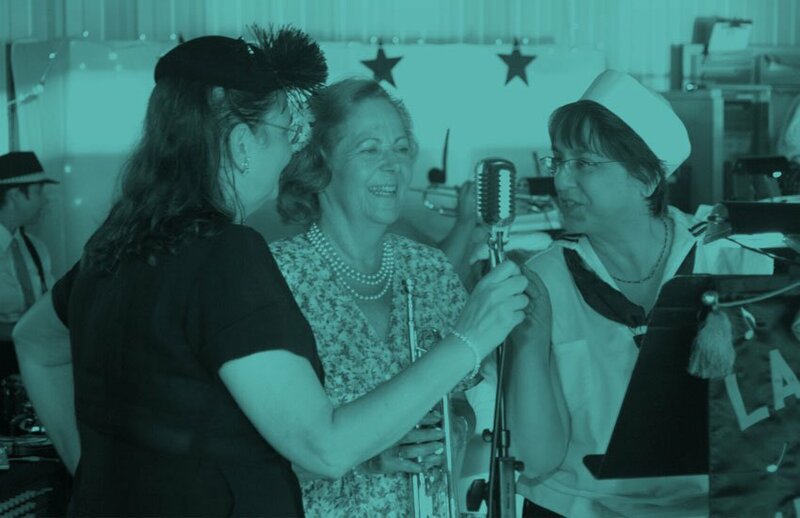 Enjoy reading about all of you women and your history with music. I saw you perform in Holmen or West Salem some years back and am so glad to know about your CDs and future performances. Thanks so much for bringing jazz to us! 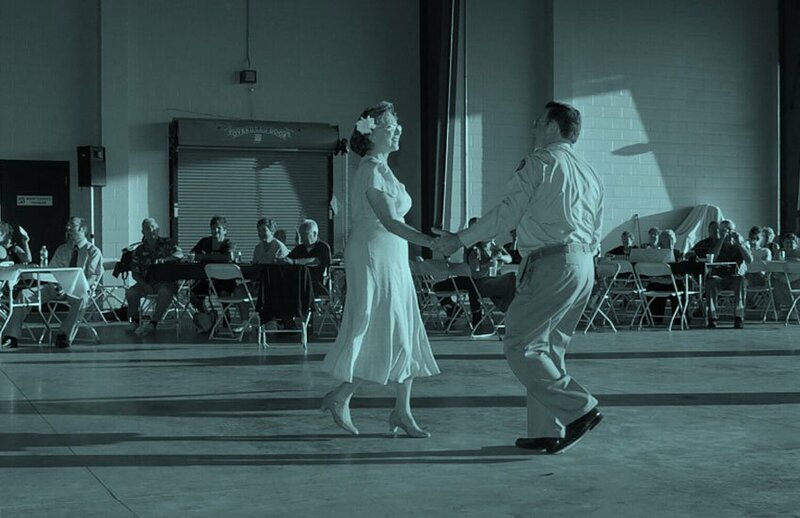 "A great band to dance to!" "We appreciate your music. It was a great evening and everyone I talked to really enjoyed your set." Welcoming Home the Badger Honor Flight! Click the images to see larger, color versions. And if you see a photo that you have taken, and it is not credited appropriately, please let us know! 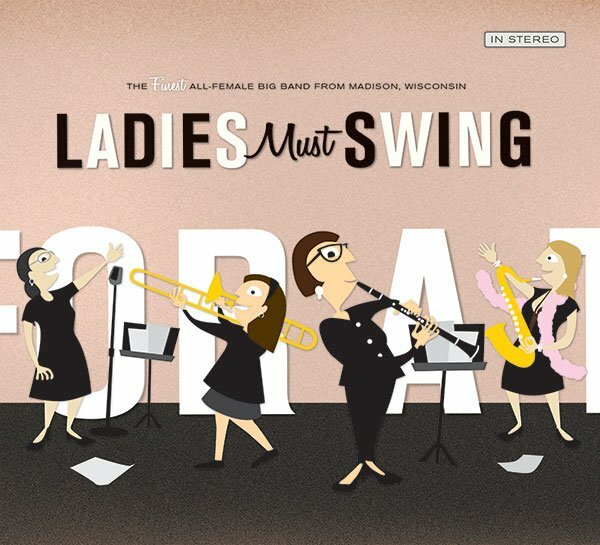 The Ladies have 2 official recordings: the latest full length CD, released in 2012 is called, “Just for a Thrill”, and the first full length CD, released in 2003 is titled, “And Swing We Must”. Both are now good for the gettin’, and come with great original artwork, so get them before their gone! 11 / What’s Your Story Morning Glory? THIS CD IS CURRENTLY SOLD OUT. To book Ladies must Swing for your next event, or to just say hello, send us an email with this convenient email form. 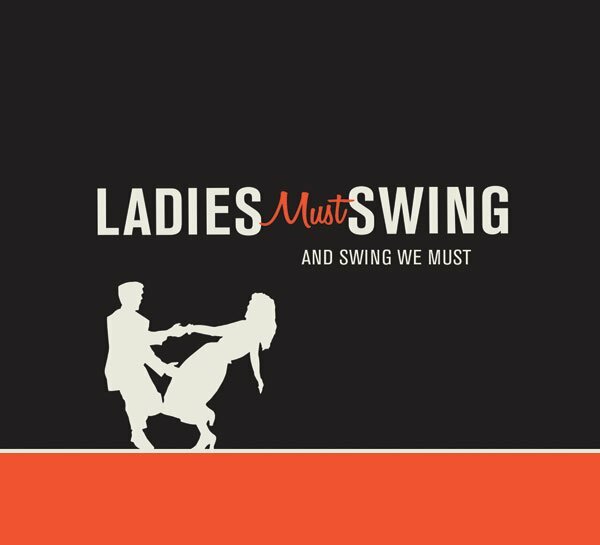 Ever Wonder Why Ladies Must Swing? SIGN UP FOR OUR eNEWSLETTER TO FIND OUT!